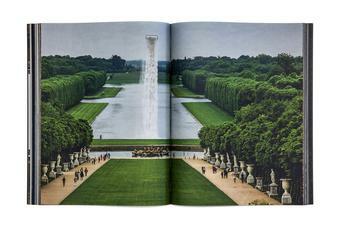 Olafur Eliasson Versailles arose from a remarkable dialogue between artist Olafur Eliasson and graphic designer Irma Boom, and accompanies the artist’s summer exhibition, on view in the palace and gardens of Versailles from 5 June to 30 October 2016. 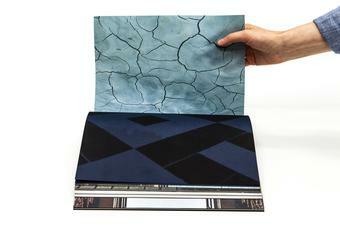 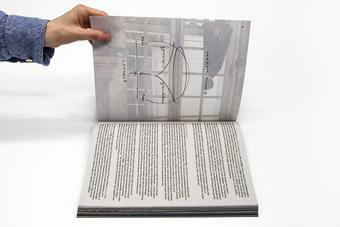 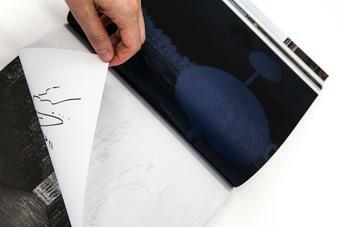 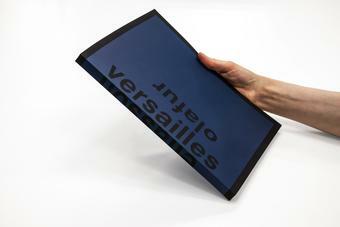 The artist’s book is printed on three different kinds of paper – black, grey, and white – with different colours for each paper type. 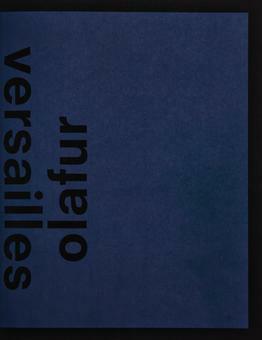 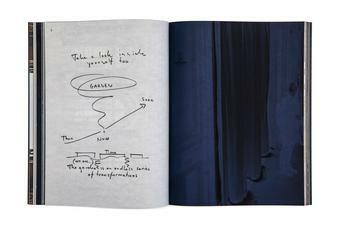 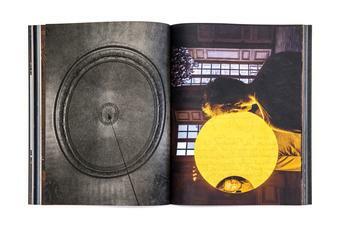 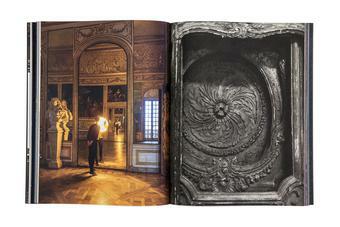 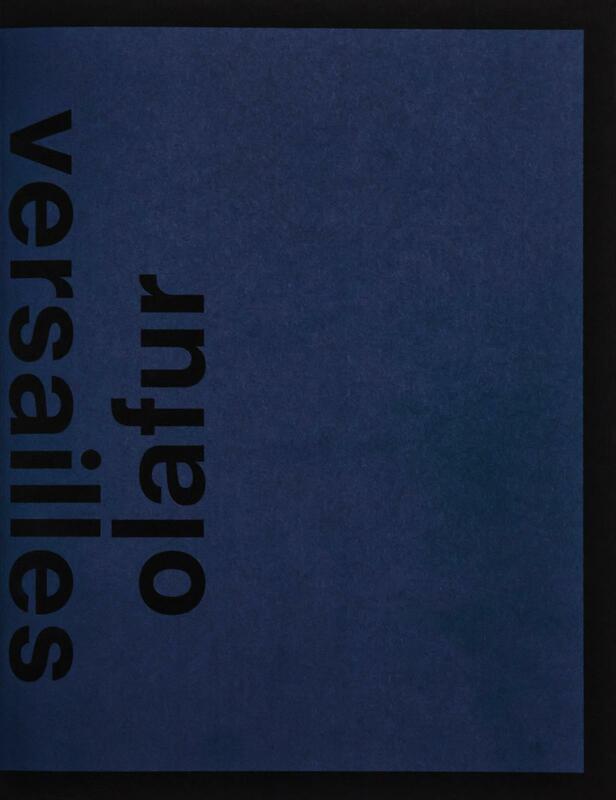 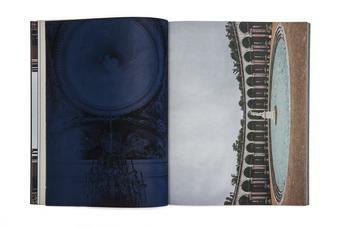 Readers are invited to turn the book (some images are oriented sideways), while colour and paper combinations – Eliasson’s personal Versailles photographs appear blue on black – add visual uncertainties and hesitation, making you look closer.